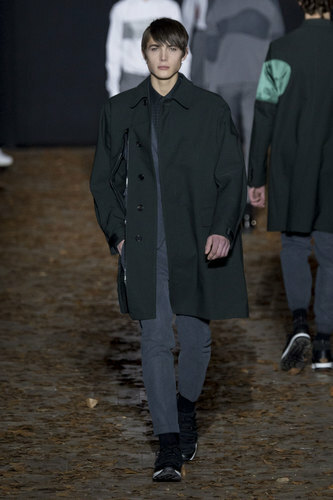 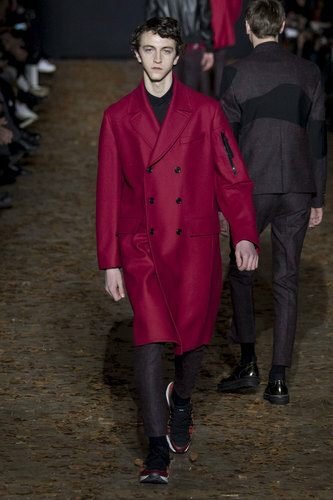 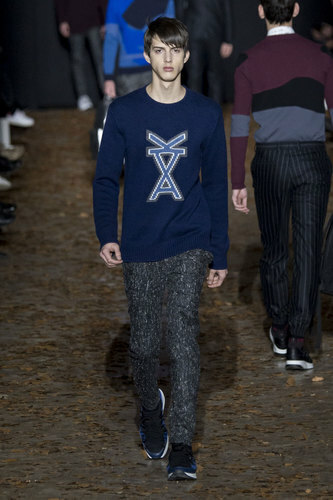 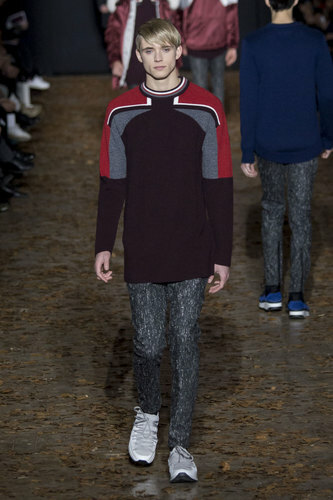 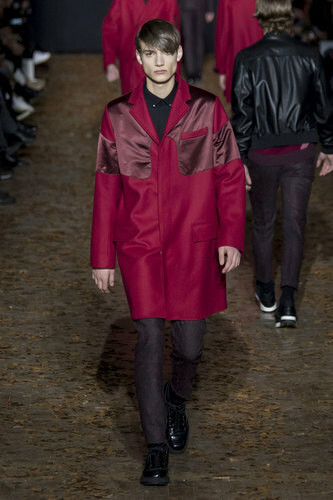 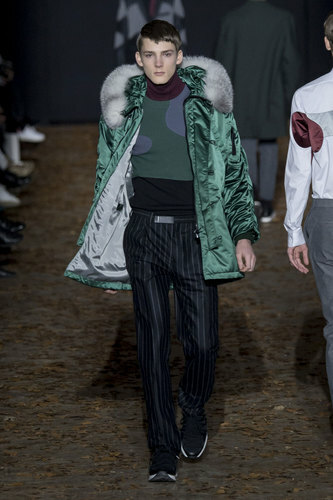 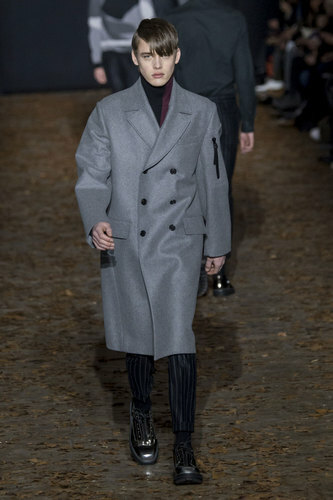 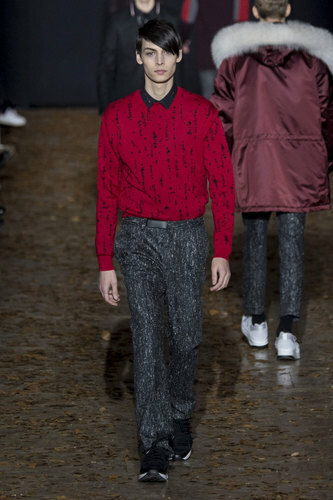 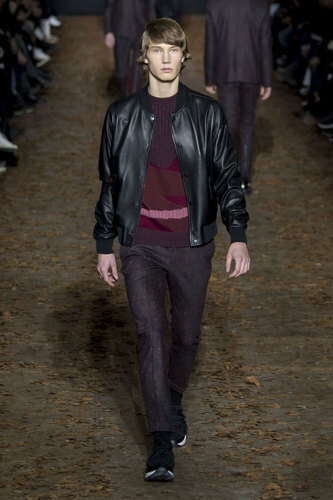 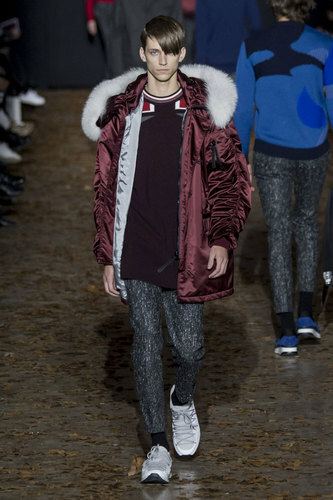 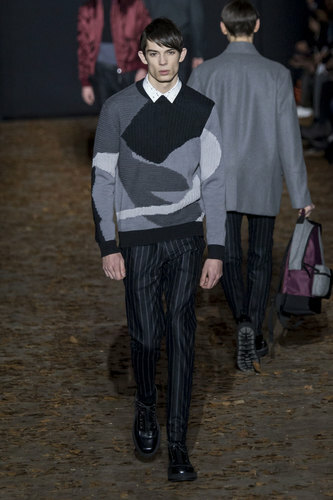 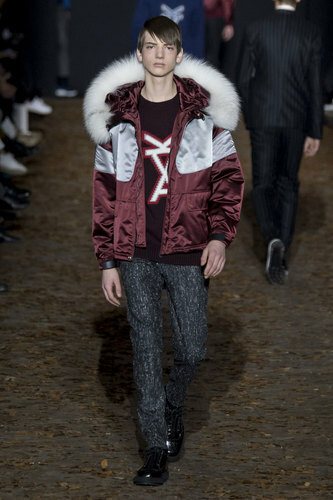 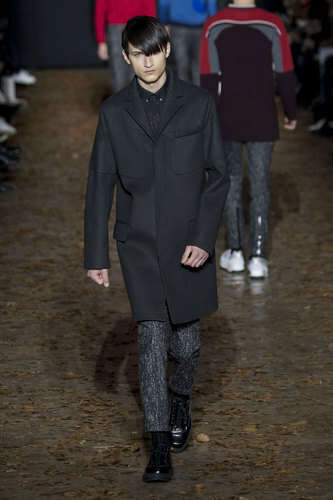 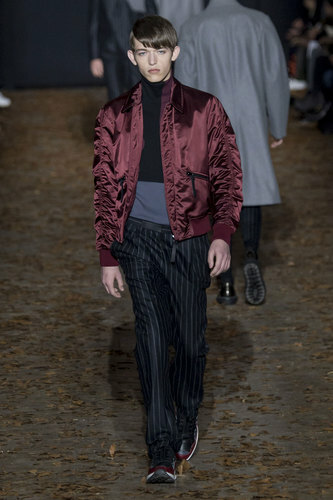 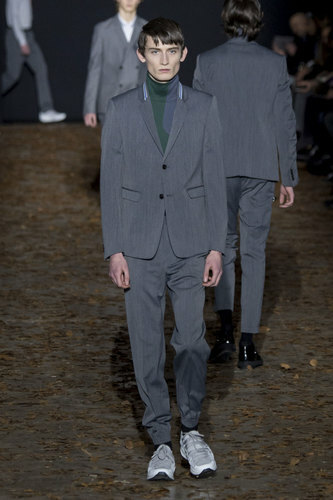 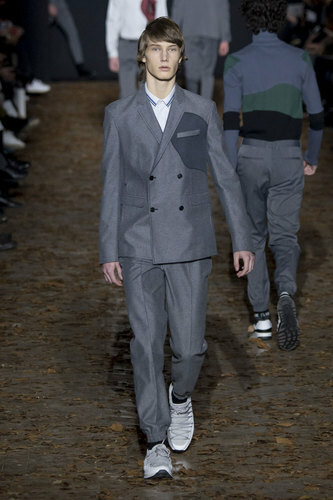 Krisvanassche Man Autumn-Winter 2015-16 – Kris Van Assche took us more to the outdoors with steely greys and solid mountain/ hiking boot footwear. 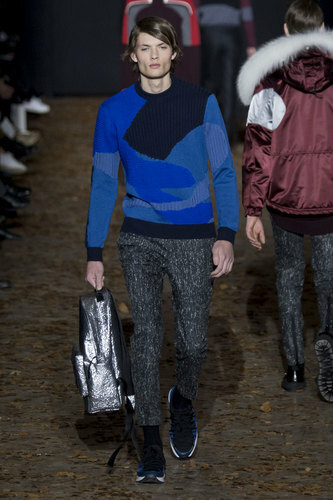 A sincere eye for colour, displayed through patterns and through block colours. 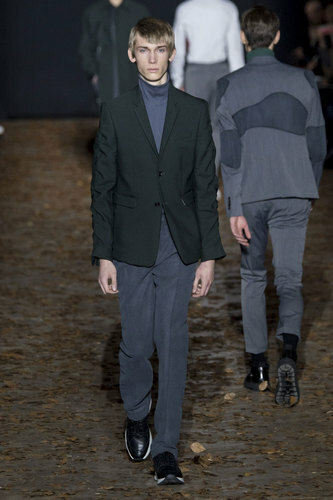 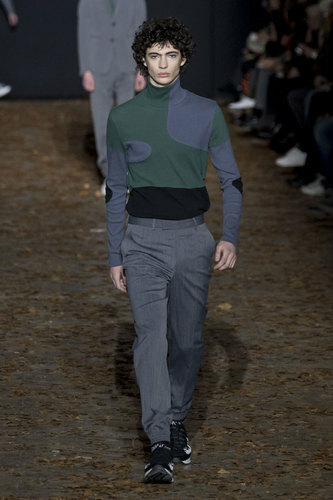 Completely ignoring the; “blue and green should never be seen” rule; Assche combines both together in an imaginative blend that crosses the border of camouflage. 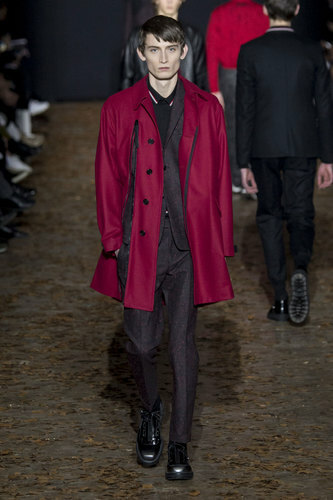 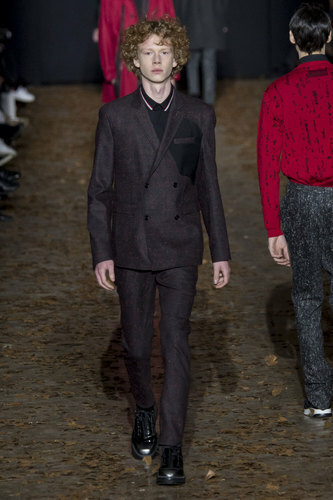 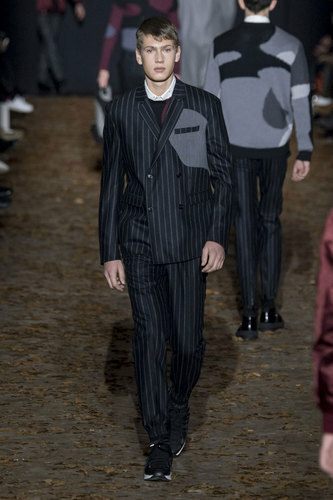 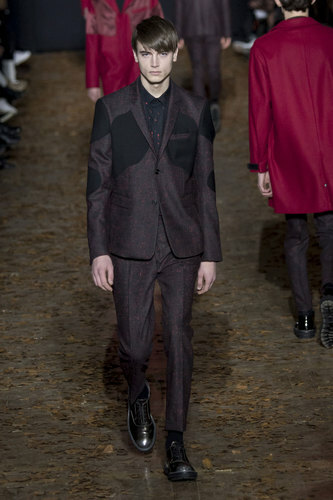 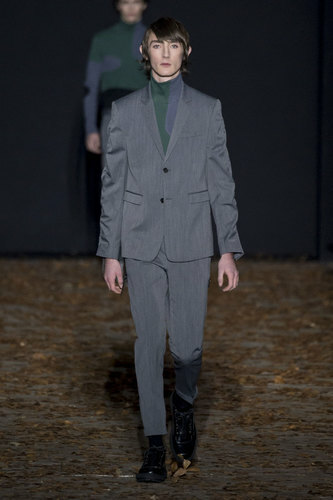 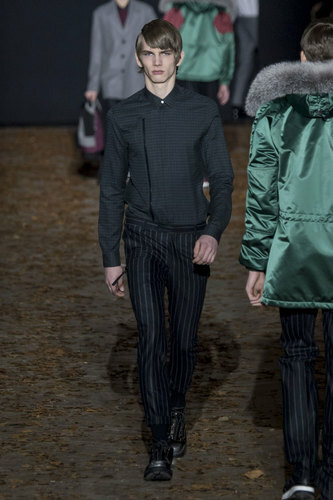 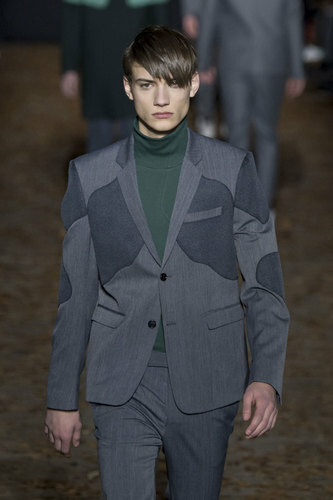 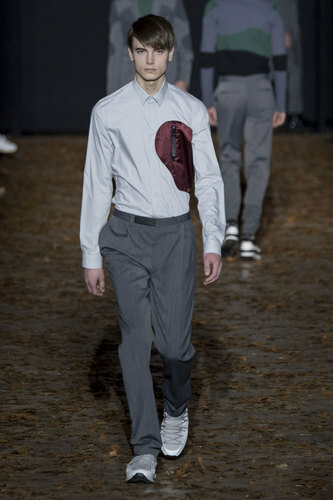 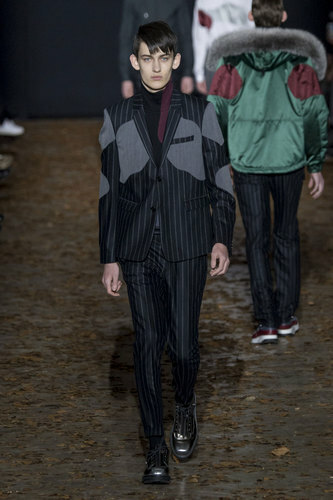 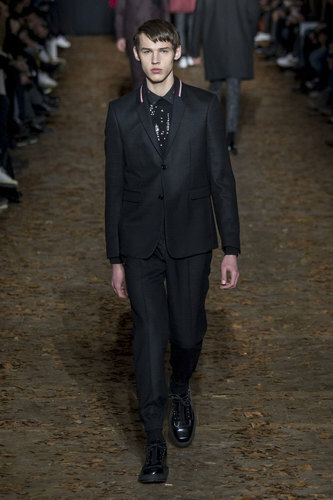 Sticking with aforementioned suit themes; Assche introduces pin stripes of a bold kind, oversized for a structural look. 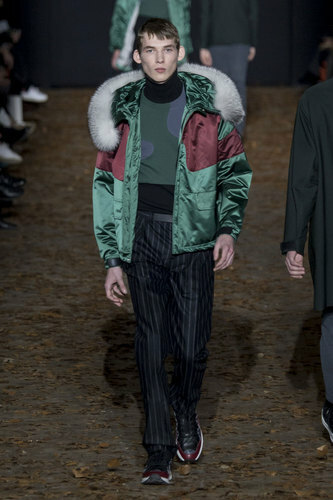 These trousers have then been teamed with matching blazers for a smart, work-wear approach or can be made extremely creative and casual by a satin duffle coat; extra warm with a fur lined hood. 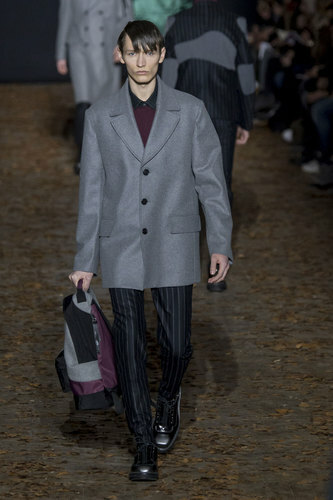 Accessories include coordinated rucksacks, carried by the leading handle. 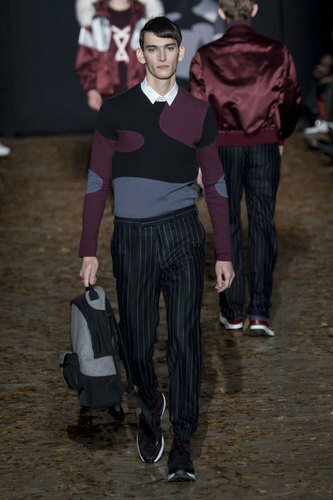 The block colours of the rucksack, tone well with the bold prints of the outfit without counteracting the other idea out. 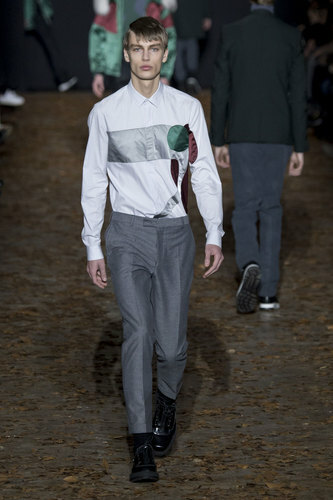 As for the footwear, comfort is the key point; shimmered fabric against block white adds a sporty look.